Hotel CUBO in placed in a historical building protected by the Institute for the Protection of the Cultural Heritage of Slovenia. This is ideal for a boutique hotel like CUBO which represents a new beginning for Luckmann’s House (Luckmanova hiša) that has been adorning one of Ljubljana’s main streets since 1932. The building itself has a quite interesting story if we follow newspaper articles of that time. Long standing Luckmann dynasty has owned the building on the corner of Slovenska street since 1786. Dr. Fritz Luckmann inherited the property after the death of his father. Dr. Fritz Luckmann was well known attorney and a member of the board at Ljubljana Union brewery. In 1914 he married Linda Kosler, a daughter of Peter Kosler, the founder of the Union Brewery. 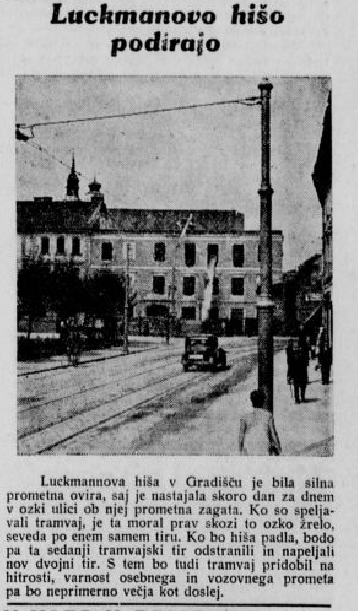 In the year 1931 the tram was taking over the streets of Ljubljana and the corner in front of the building was to narrow, causing traffic jams. 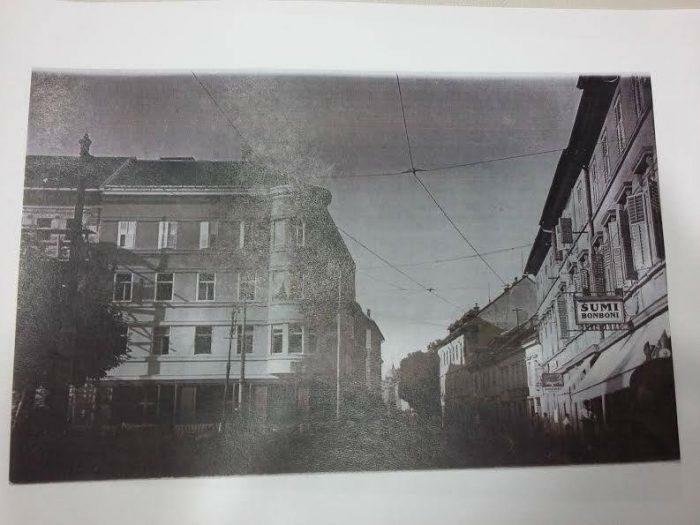 That is why Dr. Luckmann was offered a compensation to demolish the old building and build the new one, leaving more space for additional tram rails. 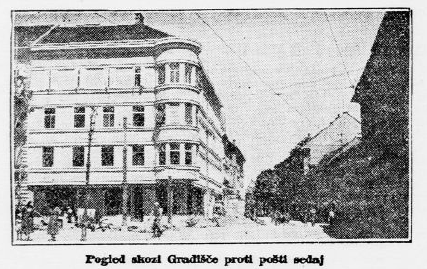 Newspaper article from year 1931 describing how the building is beeing demolished. 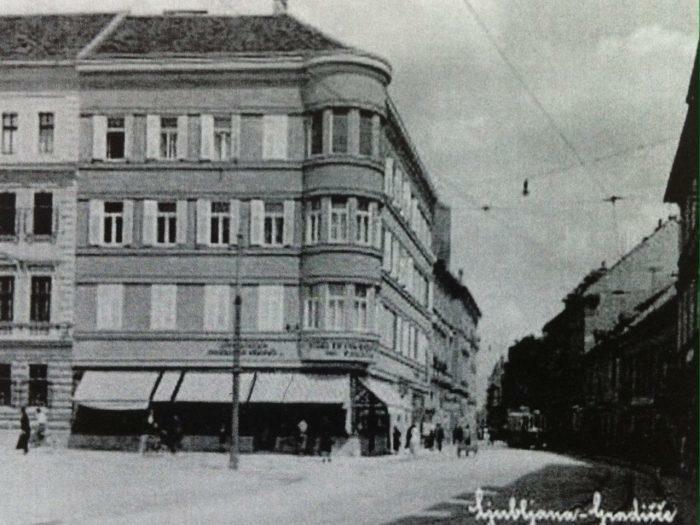 The following year, in 1932 new building was finished, allowing more space for the street traffic. Famous facade and the exterior of the building remained the same till today. 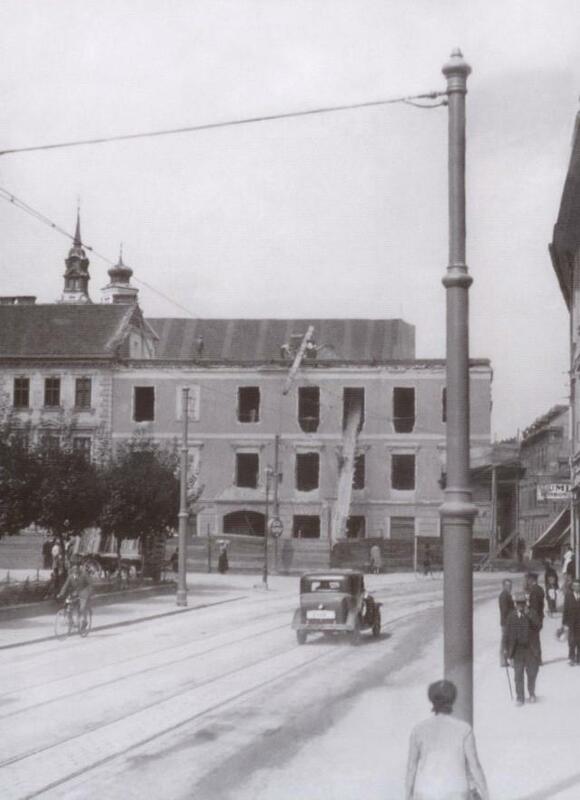 After the WW 2, building was a home to a ballet school, offices of one of the most popular magazines at the time, exam centre for Ljubljana’s DMV, a famous café Miška, etc. With heritage protected exterior, the building has been preserved in its original form. The architectural transformation of the interior of this multi-apartment house into a smaller modern hotel in 2011 was used as an opportunity to reintroduce its irresistible charm to the public. 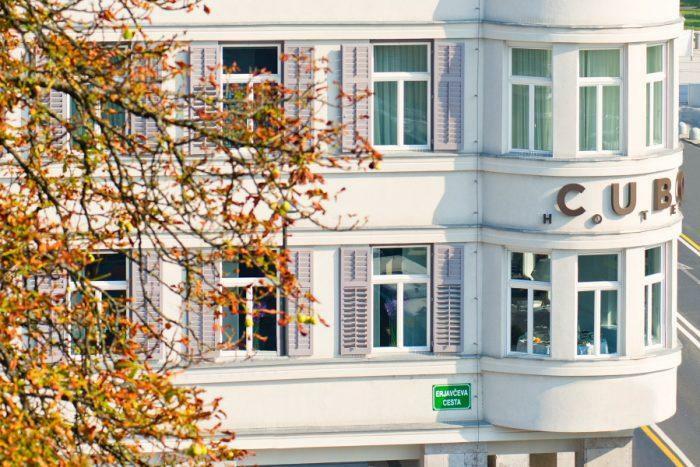 Hotel Cubo opened in 2011 and since then bacame one of the best rated hotels in Ljubljana and Slovenia. Restaurant CUBO located on Šmartinska cesta has been one of the favourite spots for gourmet dinner or lunch for business guests, foodies and everyone appreciating a culinary art of combining selected dishes and culinary approaches from around the world, including those of traditional Slovenian cuisine. It’s owner Boštjan Trstenjak has managed to combine great cousine with personal approach to the guests. 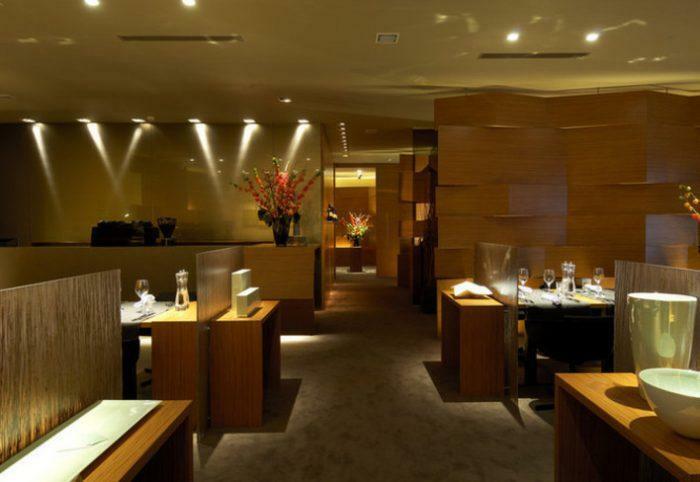 With the opening of a hotel with fine restaurant in the city centre the aim of the owners was to transfer a selected menu and a personal aproach to the guest to new, central location. In 2011 hotel Cubo opened in new refurbished building on corner of Slovenska and Erjavčeva street. 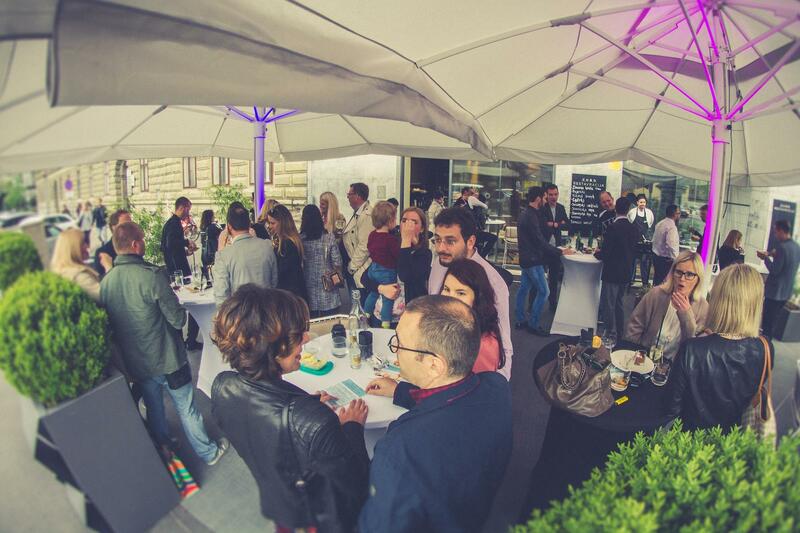 The location of CUBO hotel within Ljubljana is also ideal, bordering the old city on one side and within walking distance to Ljubljana’s attractive Tivoli Park on the other. While the hotel is easily accessible by car, the traffic-free zone of medieval Ljubljana is just across the street. Our wish was to add a new asset to the selection of hotels in Ljubljana: a hotel capable of providing all the services of large hotels, but with a distinct, intimate atmosphere that can only be created by a small property where the staff can pay special attention to each and every guest. 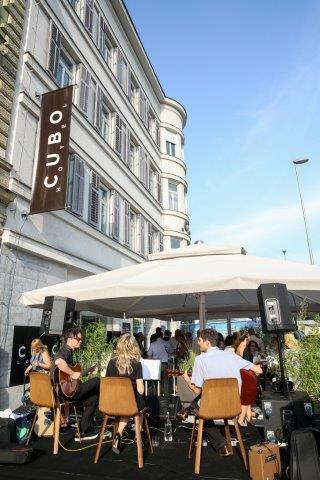 The Cubo Hotel has only been open for five years but is already a firm favourite with visitors to Ljubljana. While most hotels like to play big, hotel Cubo likes to take a privacy of its guests and partners as a priority. Service comes first, and this is why we focus intensively on staff and their willingness to perform with excellence, dedication and heart, all the while welcoming our guests as if they have just arrived to our staff members’ own homes. Maybe this was one of the reasons why Slovenian national basketball team choose hotel Cubo as their home base during EuroBasket championship in 2013. From opening of hotel Cubo, we always strive to add and improve on our product and services. We believe that you should never rest on your past glory. With dedication to improve on your services and product you add a little extra, that sets you apart from other hotels. For example, even if guests poit out our hotel breakfast as one of their favorites , there is always place for improvement. By adding a fruit infused water, agava syrup and more fruits and vegetables to our breakfast offer, we try to focus even more on healthier options for our guests. As locals we are aware that Ljubljana is best to be explored by bike. By adding a free bike rental with possibility to order a picnic basket with our chefs favourite delicacies, our aim was to offer our guests a new way to explore Ljubljana. With reopening of our summer al fresco lounge in 2016 hotel is becoming a new spot for a weekend brunch, a evening glass of wine or our signature cocktail, or a meeting point for Thursday after work party. At the begining of 2017 two new meeting rooms were added to our services. New meeting rooms with flexible layout and our signature food and bevarage options are adding a fresh new meeting spaces for your business meetings, product lounches, press conferences, a company meetings or a private parties. We are confident that CUBO brand will only grow furter. 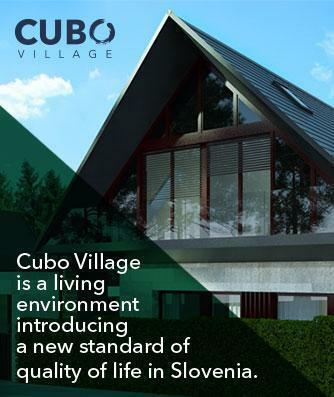 CUBO group is a new brand that will continue to develop new projects related to tourism activity of higher quality. Cubo group just undertook a thorough renovation of a few years closed Kanin Hotel in Bovec. 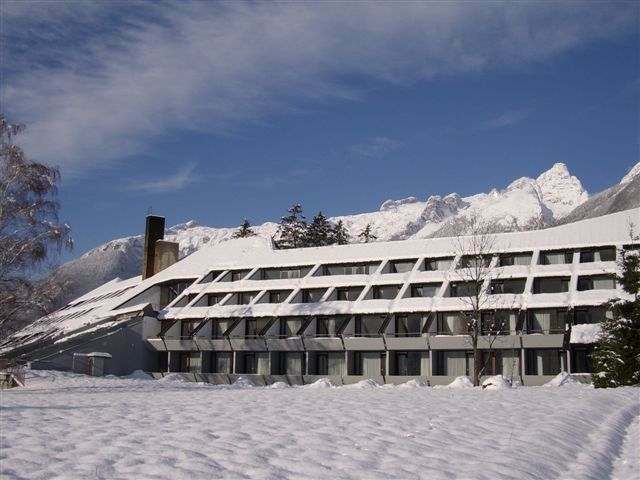 Refurbised hotel is planned to be opened in 2018 as a new, 4 star CUBO Alpine resort. 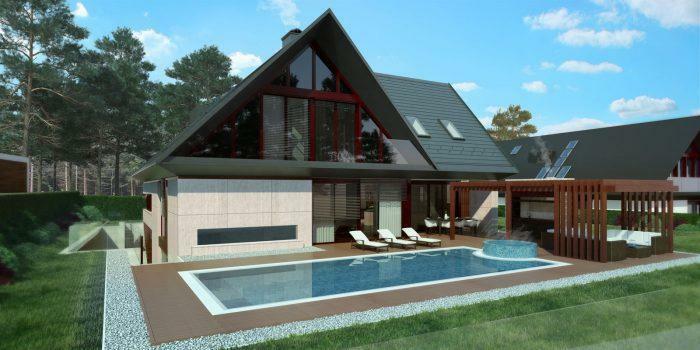 The group is also building luxury, low energy villas on the golf course Smlednik. Villas will be offered to rental for personal or business purposes. We hope you will stay a part of our sucess story and a part of CUBO family also in years to come.